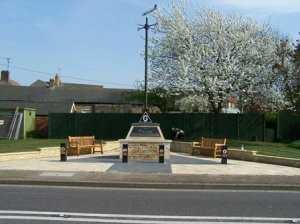 305th Bomb Group War Memorial in Higham road, Chelveston. The only land the Parish Council owns is the amenity land around the 305th Bomb Group war memorial in Higham Road, Chelveston. This is approx. 0.05ha and was acquired in 2014.